Product categories of Tomato Ketchup, we are specialized manufacturers from China, Tomato Ketchup, Green Ketchup suppliers/factory, wholesale high-quality products of Canning Ketchup R & D and manufacturing, we have the perfect after-sales service and technical support. Look forward to your cooperation! Tomato Ketchup in plastic bottle - Our new product. 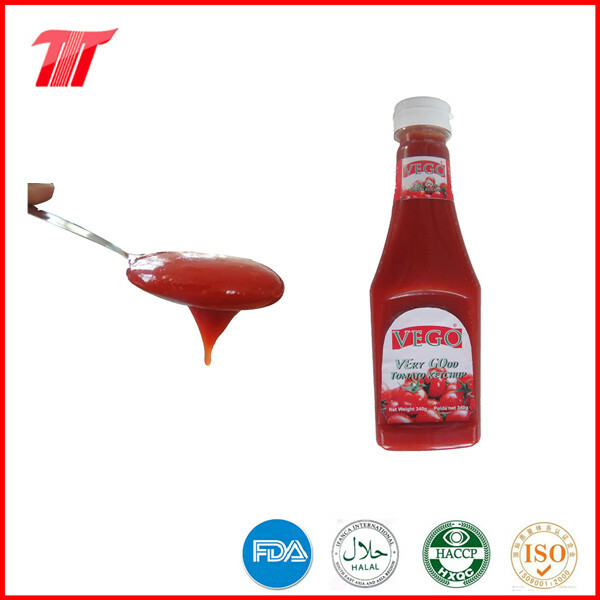 We can do different types tomato ketchup as per customers' requests and markets quality standard, the paste is normal natural red color tomatoes. Quality is always our life, so we try our best to keep our high quality. Our normal size is 340g. Waiting for your inquiry! *Related Products:Tomato Paste for benin,high quality tomato paste,spcicy tomato paste.